1 - Terry-Jacket/s $42.90 ea. 2 - Terry-Jacket/s $40.90 ea. 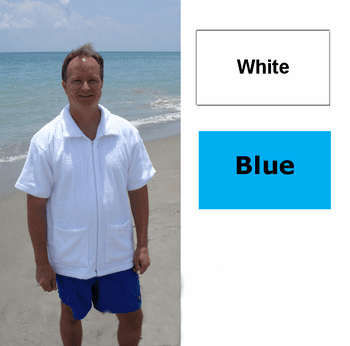 Mens Terry Beach Jackets in 6 sizes for a perfect fit. 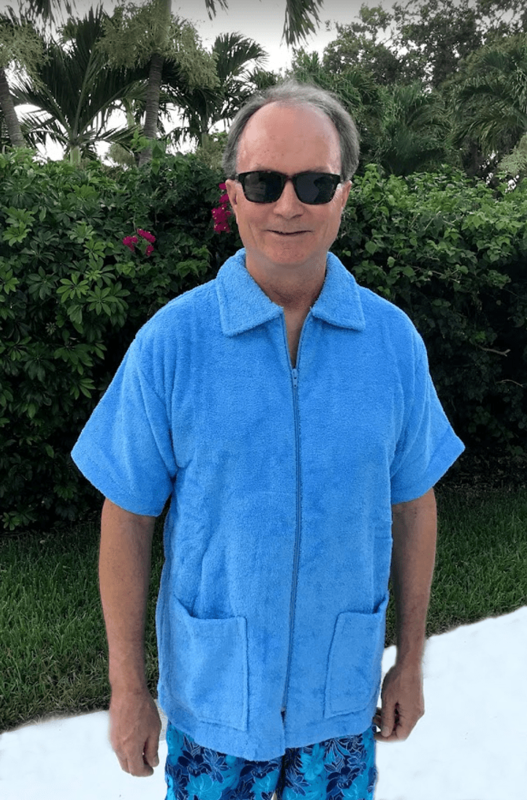 Our original luxurious 100% Cotton Wittmann Textiles Beach Jacket is made from thirsty 12 oz. Terry - looped on both sides for maximum absorbency. Perfect for the beach, spa, or pool. Quality made especially for Wittmann Textiles in Turkey, world renown for quality Turkish Cotton Terry products. Colors: White or Sky Blue. Machine wash/dry; no bleach, no hot water, ok to use fabric softener. 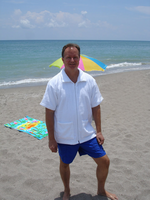 Matching Terry shorts are also available Size 2XL and 3XL are $3.00 more per Jacket. • Regular: 29 inch inches (men up to 6 foot, 2 inches) or New! Tall: 33 inches (men up to 6 foot, 8 inches) $2 more per jacket and short sleeve only. 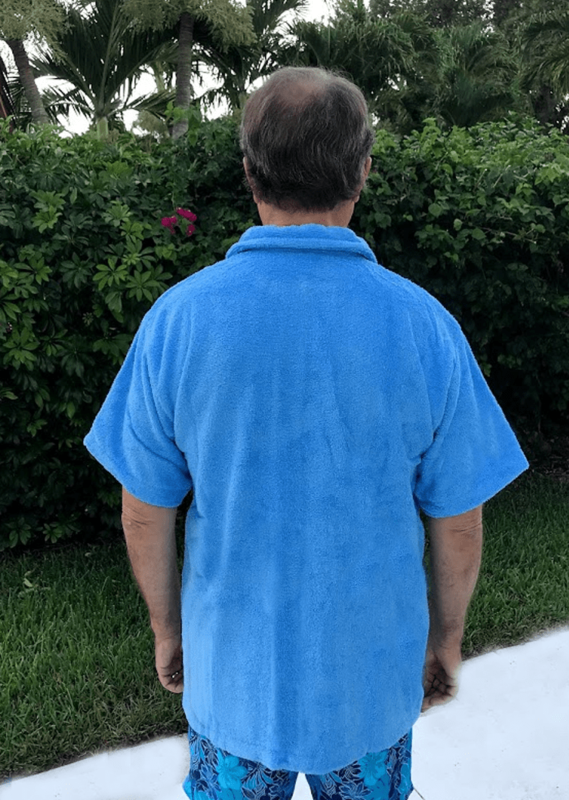 • From our wear testing over many years we found the best way to get out boating oil or beach stains; try dishwashing detergent right on the stain or oxiclean and wash normally. *** Sleeve Length - from the back of the collar to bottom of sleeve hem. Measurements above are after shrinkage.